Manufactured in thick, heavy gauge galvanised steel panels, perfect for keeping your scooter or wheelchair and equipment safe and dry. Securit Scooter Range offers excellent scooter security using an exceptional locking system. Price includes VAT and flat pack delivery to your door*. Scooter Store Range comes with the manufacture's 10 Year Warranty. These stores are not supplied with electrical plugs or charger points. *Free UK Mainland Delivery* (surcharge for parts of Scotland and South West please check when ordering). Securit Gb Ltd does not currently offer delivery to Ireland and Isle of Wright, but we can supply the products to be loaded onto transport. The stores are not supplied in boxes but loose panels. 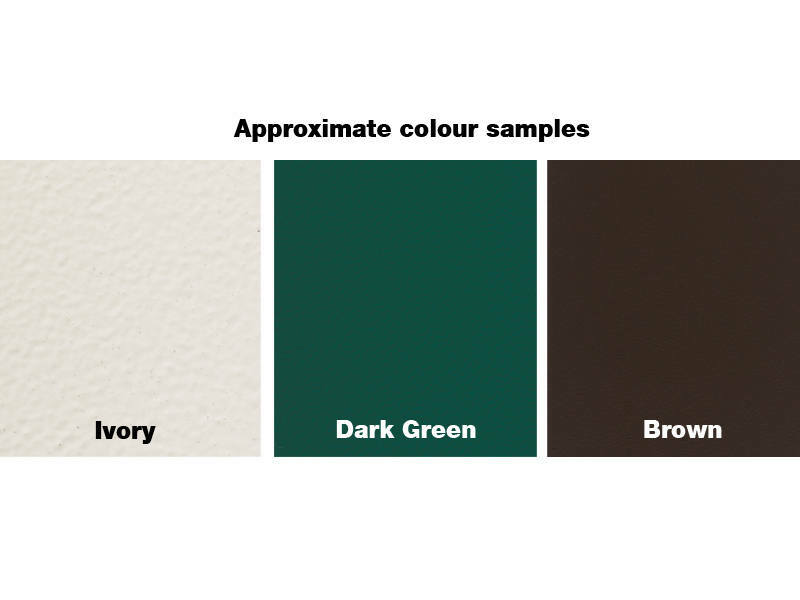 These stores are available in IN THREE (ivory, green & brown) different colours please confirm when ordering.